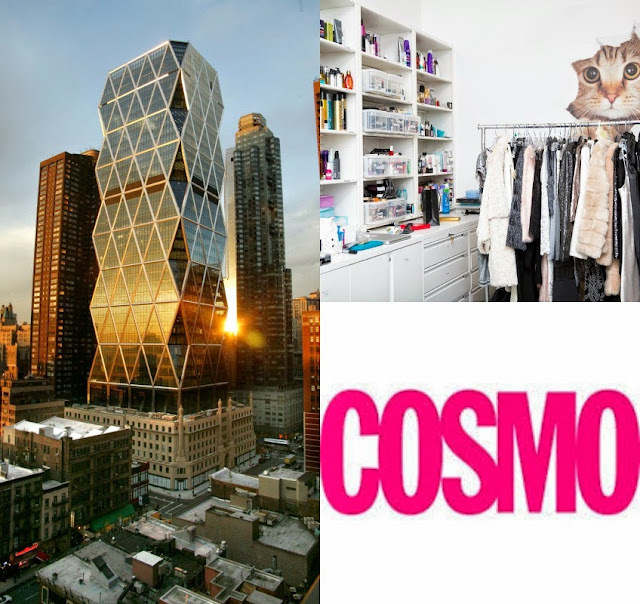 A few hours ago I finished up my first day of working as a Ready to Wear Intern for Cosmo and Seventeen Magazines! I was nervous last night and this morning on what to expect on everything from what I'd be doing, to if the people I work with would be nice. I put my brave face on this morning at 9 am and marched into Hearst Tower trying to be as confident as I could! I wore a red silk slip dress I thrifted a couple of weeks ago that has a really pretty lace hemline. I paired it with simple jewelry and and a pair of metallic oxfords for a bit more edge to a super femme outfit. I ended up being actually probably too dressed up! Most of the people in the office dress surprisingly fairly casual (still fashion forward though), but it's because the days are long and hard. Tennis shoes (but cute ones!) will be a must for me this semester. The day starts out at nine in the morning and I have a feeling each one will be different than before. Today was one of the busiest days they've ever had unpacking hundreds of clothing items from a cover shoot from last week. I've never seen so many beautiful garments or touched so many designer things...but to be honest, you become quite numb to it after awhile and it all just turns into 'clothes' that you're trying to hunt down and find. All the clothes sent to shoots must be accounted for after they're sent back to the closet and that's mainly what I did today! Sounds like a trivial task, but it takes a lot of work, hours, and concentration. We then send the clothes back to their respective PR firms or design houses that they came from. We also get constant shipments throughout the day of new items that need to be checked in that the editors view for future stories. I think that might be my favorite task so far! It's so exciting to see that new things that come in. I didn't get out of the office until 7:30 and am definitely sore and tired...this is my first adult, 9-5, five days a week job and it will take some adjusting to. Despite my sore feet, I'm eager to get back in the office again tomorrow morning. It's kind of an addicting feeling working there. I feel so lucky to be a part of this! You will do amazing things. Keep your head up and your ambition strong. :-) Congratulations on such an amazing opportunity! keep us updated! Soooo excited for you! It all sounds so whirling and incredible - in my opinion, you are a talented writer, Lauren!! I simply cannot wait for your future adventures to unfold! This sounds amazing! 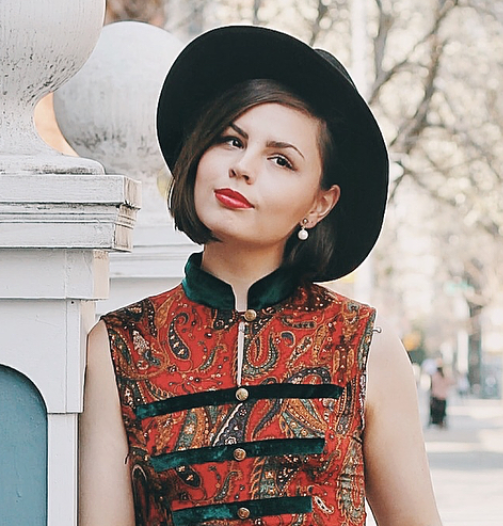 It makes me want to intern in a fashion magazine, a long ago dream of mine. Instead, I'm training for ballet this summer, a little outside of NCY. Can't wait to hear more about your adventures! Congrats on your internship at Cosmo!!! One of my fave magazines!!!! I was going to intern in NY this summer!!! I wish I took it! !